With Botafogo’s buzzing bar scene and Urca being the tourist hotspot for Pão de Açúcar (Sugarloaf Mountain), it didn’t take long for some of Rio’s best restaurants to flourish in these two neighboring areas. The variety between the two is enormous, offering everything from vegetarian to Arabic food. Here, we take a look at some of the best restaurants in Botafogo and Urca. 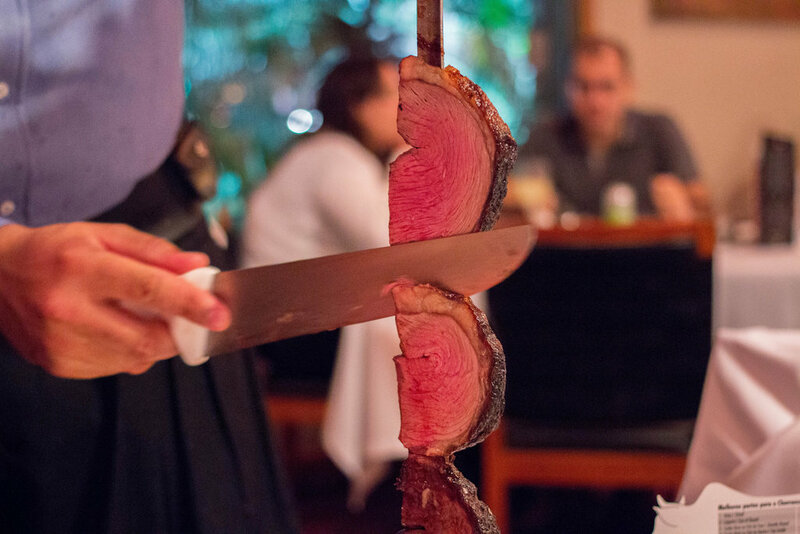 Fogo de Chão is all about meat and captures why Brazil is recognized as one of the best countries in the world for steak. Here, waiters wander around the restaurant with large skewers of freshly roasted lamb, chicken, pork and beef, while diners can choose whichever cut they want. For a fixed price, all of the meat and an open buffet of salads, cheeses and pastas is included. Pistache’s incredible outdoor lounge terrace is part of the larger dining area at this chic restaurant in Botafogo. During the day between 12 p.m. and 4 p.m., those looking for lunch should consider the open buffet for a fixed price or per kilo option on delicious offerings. After 6 p.m., the restaurant offers an à-la-carte menu with highlights such as the mignon steak, a delicious Brazilian classic. Harad is an Arabic restaurant in Botafogo with a laid-back atmosphere and outdoor seating. Those fancying some Arabic cuisine can choose between a wide range of options, such as lamb sausages and authentic kibes. 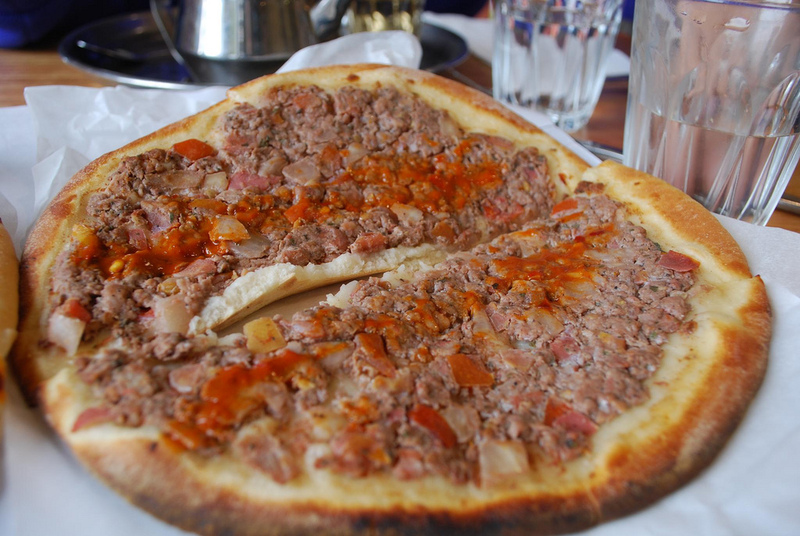 A must-try here are is its award-winning sfihas — specifically the meat sfiha, famous for its succulent filling with herbs and soft pastry base. Comuna is famous throughout Rio for its incredible homemade hamburgers. The most popular burger choices are the ‘X-Wilson’, a combination of a 160 gram beef burger, gouda cheese and a choice of sauce and the ‘Boludo’, a burger flavored with chimichuri that comes with gouda cheese, sriracha mayonnaise and beer-battered onion rings. Burgers are wrapped in paper that reflects the casual environment of this trendy spot. Vegetarian restaurants are hard to come by in Rio, yet this restaurant makes up for it with its menu of vast low-calorie vegetarian options that are packed with nutrients. The ingredients are fresh and organic with dishes served either buffet style or à-la-carte. The wooden decor and Buddhist artwork gives the restaurant a zen-like atmosphere. The most famous bar in Urca comes with an extraordinary view over the bay and across the way to Botafogo. One suggestion of what to eat at Bar Urca would be to choose a handful of snacks, such as prawn pastels and cheese pies, from the bar and enjoy a cold beer whilst pondering the view. The other option for food is to go upstairs for a more formal meal in the sophisticated restaurant above the bar where the seafood stew is one of the most popular dishes on the menu. Terra Brasilis offers modern Brazilian food with a view. Located next to Praia Vermelha in Urca, its large windows provide a bright and breezy atmosphere and a perfect view of Sugarloaf Mountain. Its wide selection of dishes on the menu give plenty of choices, from organic salads and pizzas to traditional Brazilian cuisines such as steak with rice and beans. Terra Brasilis also offers great choices of homemade local beers, so come ready to drink! 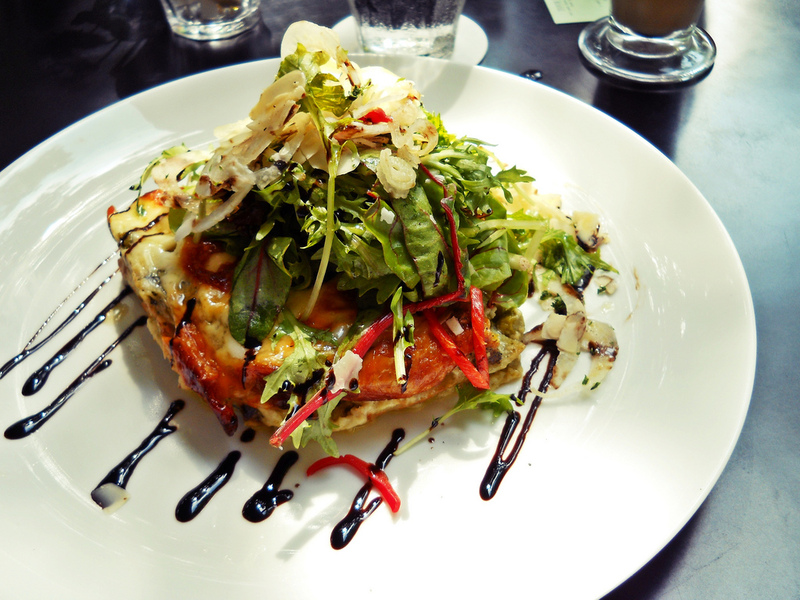 Delirio Tropical is well-known across Rio for its ample choice of salads, fruits and pastas. The meal options change on a day-to-day basis to ensure that the menu, as well as the ingredients, are kept fresh. The dishes are healthy and guilt free, yet are more than satisfying; be sure to try one of their homemade fruit or vegetable juices, too. 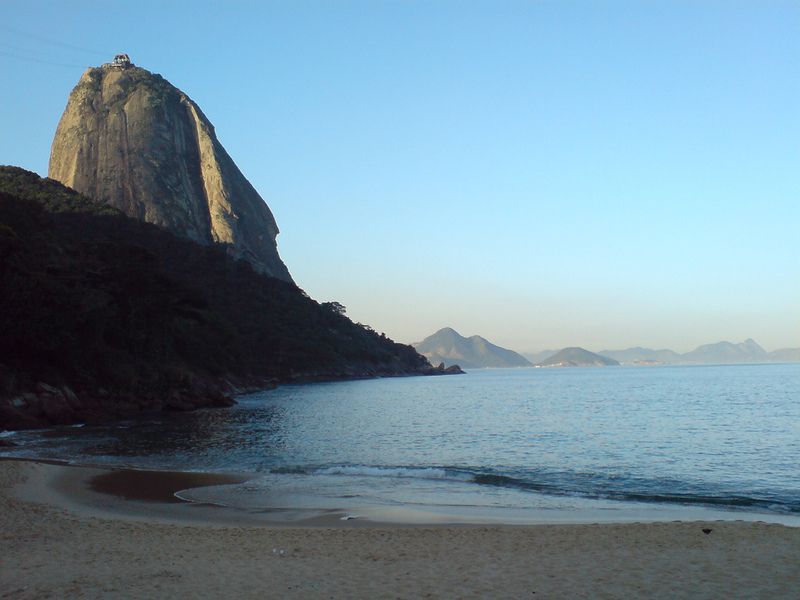 To arrive at Sugarloaf Mountain, you have to take the cable cart to Morro da Urca first, and that is where you will find Cota 200. With panoramic views across Urca and out towards Niteroi, it is hard to imagine a better backdrop for lunch or dinner. The menu is top quality and features Brazilian classics. 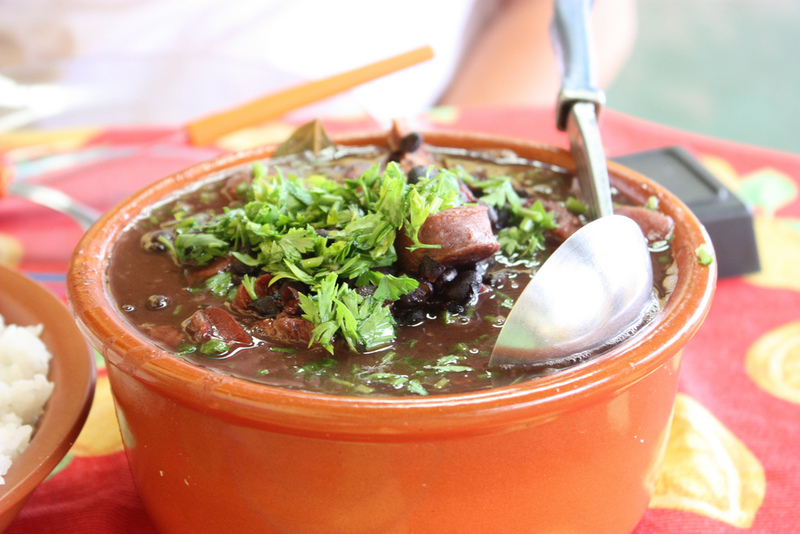 Every Saturday there is a feijoada day, so mark your calendars. Julius Brasserie is a cozy restaurant that is perfect for a romantic night out that features something calm and intimate. The food is international with a creative flair and is always rated highly. For those wanting to eat Italian, the ribs risotto with figs is a great choice, whereas the prawns with black rice is a spectacular seafood option.